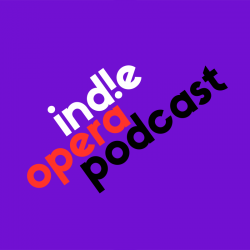 This week we have chuck’s interview with Stephanie Blythe, who joined up with drag performer Dito van Reigersberg, also known as Martha Graham Cracker to create a 3 night serial gender-bending cabaret play series as part of Opera Philadelphia’s Festival O 2018. September 28: Dito & Aeneas: Two Queens, One Night which was followed by a dance party with DJ Manifest Love. The 3 night series featured special guests Patricia Racette, Brenda Rae, Justin Vivian Bond, Machine Dazzle, Virgil Gadson, Cookie Diorio, Ashley Marie Robillard, and Siena Licht Miller. Queens of the Night was a highly improvisational three-night, three-part Cabaret takeover. Roy Orbison and Johnny Cash. The only thing she couldn’t do was wear the dark sunglasses to complete the look. The role of Orfeo is usually performed by a tenor or countertenor. Glimmerglass Opera had presented a whole season of Orfeo operas, cast with men as every Orfeo. was singing Mahler’s Eighth Symphony with the Philadelphia Orchestra. John Jarboe & Dito van Reigersberg had attended the performance and went backstage. Dito is the son of Stephanie & Fernando Reigersberg who were Stephanie’s host family when she was a student at Wolf Trap Opera in 1995 & 1996. David Devan was at the same concert performance and went backstage also. Stephanie mentioned how she’d like to do a show with Martha Graham Cracker for Opera Philadelphia and that was presented in 2017 at the Theatre of Living Arts. That show was Dito & Aeneas: Two Queens, One Night. Classical performers are creating break out opportunities for themselves to fulfill desires that may fall outside their main performance presence. James Whiteside, ABT Principal Dancer has been actively creating alternative work for his alter ego, JbDubs, a pop/dance artist. He’s also been collaborating with director/choreographer Arthur Pita on a new dance theater work: The Tenant. Anthony Roth Costanzo, countertenor has been developing a concept album and multi-media work: Glass Handel that is already touring the country and world. For Queens of the Night, John Jarboe brought together a very varied group of performers and creative staff such as: Brenda Rae – soprano, Mx Justin Vivian Bond – singer/cabaret doyenne, Machine Dazzle – costume designer and Jon Kazemi – music director and arranger. Stephanie has developed other projects for herself, such as We’ll Meet Again: The Songs of Kate Smith. She was turned on by Kate’s voice and her story. Here was a woman who bucked convention. She was a completely natural artist, although she was not proud of having not received technical training. Kate Smith became a major star when no one who looked like her had ever done. She had great integrity and people who wrote great and memorable music for her. The definition of a great artist: an artist who is very much defined by their art. Stephanie, in her work with young artists is helping them to understand this idea, that the art form is something they can use as a tool to get closer to their audiences so people can get to know who they are. Night of One Thousand Gowns is an annual fundraising event produced by the New York Imperial Drag Court. It is a celebration of all types of drag as well as the retiring of the past years Rulers and the coronation of the new Emperor & Empress. a three level warehouse space. Stephanie believes that Cabaret artists explore something that is so deep, that is so worth of reverence because they’re unafraid, completely fearless. They use their art to explore who they are and to define who they are. Classical artists spend so much time developing their instrument that they can forget that their instrument comes with a psyche, and then when something happens with their psyche which affects their instrument they are completely at a loss. Stephanie had an experience like this when she was a young artist. Queens of the Night mixes the music of Barry Manilow and Journey with Puccini and Verdi, it is really something else.